This was my second year as a member of the graduate creative writing faculty at Western State Colorado University, in Gunnison, Colorado. I was first hired in 2016 by my Harvard classmate David Rothman, head of the program and of the poetry concentration, to teach a summer intensive on presentation skills to second-year grad student poets. Once I got there and the genre novelists heard about the work I was doing, they asked me for some sessions, as well. This year, we baked that into my teaching schedule. 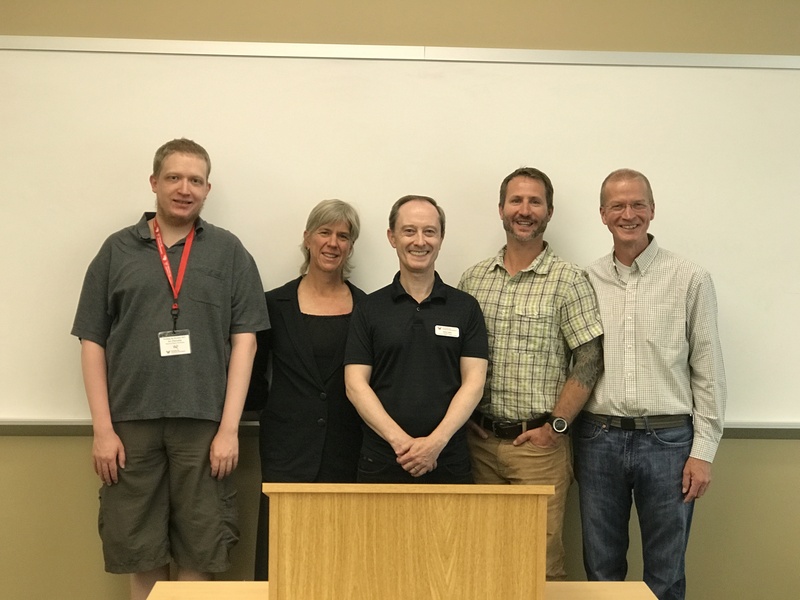 So I had a handful of morning sessions with five delightful and talented genre fiction writers, all of whom were seeking coaching for their final pre-graduation presentations. 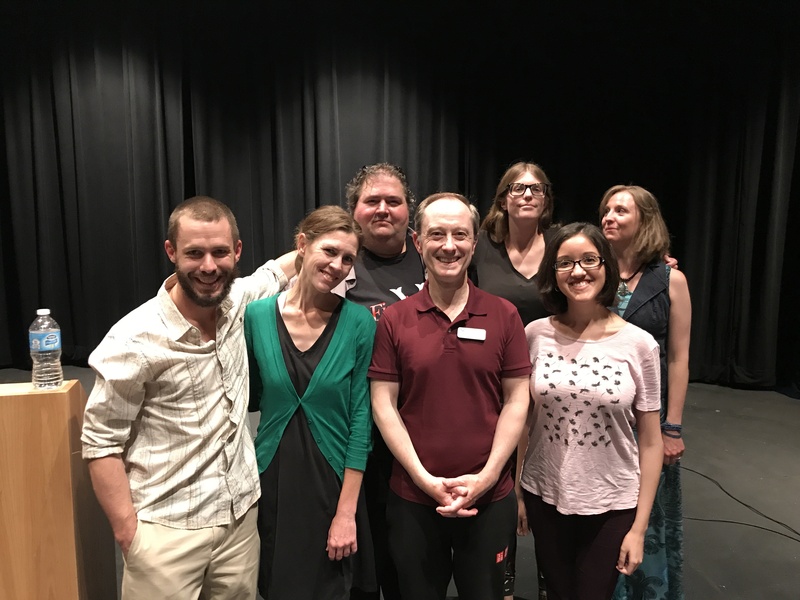 And in the afternoons, I taught my 8-session summer intensive “Poetry in Performance,” coaching three extremely talented poets. This photo is of me with the 2017 graduating genre fiction novelists after their final presentations: from left, Kaleb Erickson, their wonderful writing instructor for this year, Candace Nadon, and Carla Mercado on my left. In the back: Vincent Harper, Marissa Harwood, and Ketura Barchers. 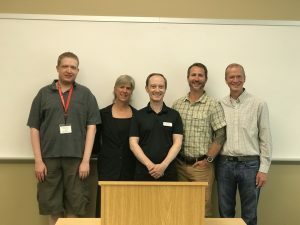 And in this picture, talented composer Justus (Jay) Perrotta (L) joins me in congratulating my three poets Ellen Metrick, Brian Calvert, and Brian Palmer, after their final 25-minute presentations. Jay has interest in setting some of the poems he heard to music. All three poets knocked it out of the park, and brought tears to many audience members’ eyes–including mine. Well done, all! You did me proud, and I look forward to seeing and hearing more of your work.